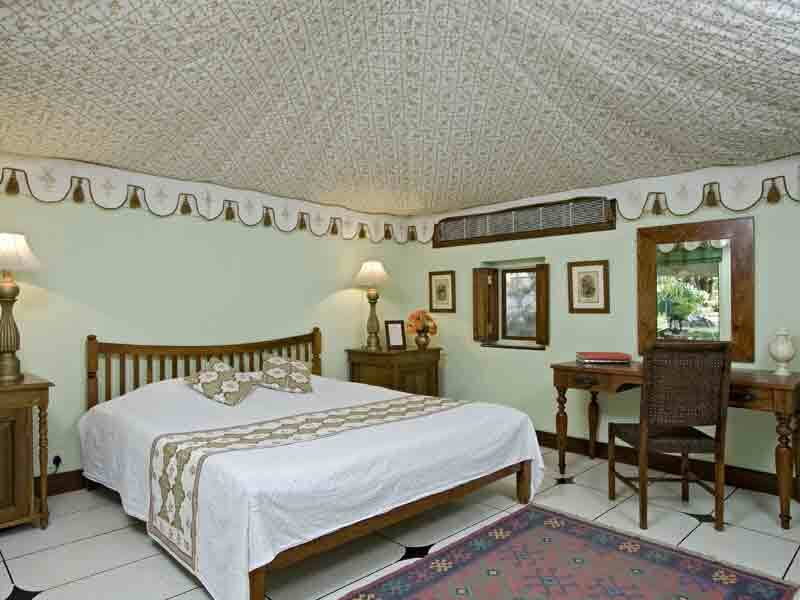 The 44 dune coloured tents are air-conditioned and are luxuriously furnished with every comfort. They are tents with a difference- spacious, with carpeted floors, electric lights and heating, each with their own en suite marble bathrooms with showers, hot and cold water, an attached dressing room and a front private porch. The inner fabric used is specially designed and printed with floral motifs in warm earthy colours. 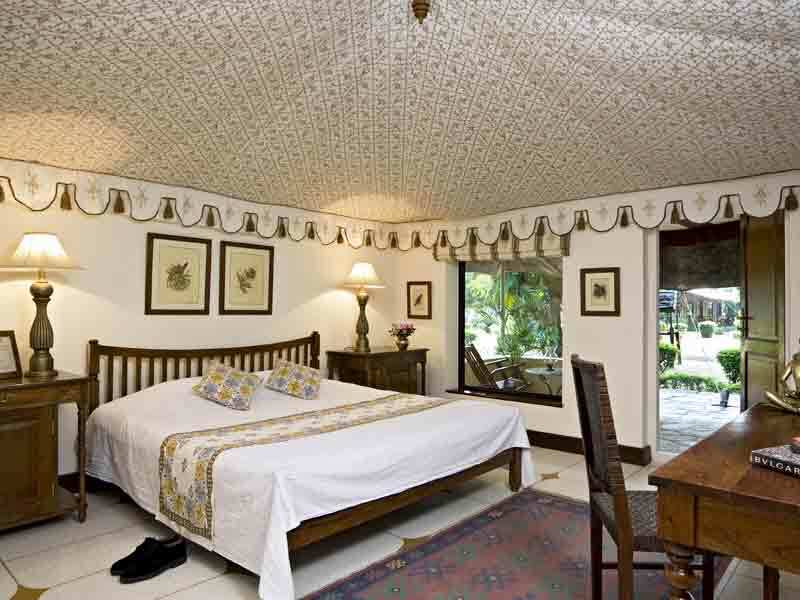 The ceiling is of muslin with a pattern printed in gold creating an ambience of gracious living. Please tell us how we may further assist you with room layout, additional booking requests, dietary or any other special needs. 1)	The Reservations must receive the voucher or advance payment for full stay from agents at least 45 days prior to the arrival date or the Reservations will be released without any intimation. Guests who are booking using credit cards other than their own are requested to carry a copy of their credit card duly signed by the credit card owner. This is required in order to protect the possible abuse of credit cards. Incase the booking person is not the Guest, then the identity proof of the booking person has to be produced at the time of check-in. 1) FITs reservations if cancelled between 30 days and 15 days of the arrival date will incur a cancellation charge equivalent to one night?s accommodation charge. 2) Cancellation of an FIT reservation received within 14 days of the arrival date will incur a cancellation charge equivalent to accommodation for the entire length of stay originally booked. In case of refund, bank transactions will be deducted above cancellation charges.